In the Book of the Holy Pascha, the word Pascha means Passover. It contains the readings for the last week of Lent, which is also called Passion Week. It starts with the readings for Palm Sunday and ends with the readings for the Saturday of Light. These readings are only for this period. The book is adorned with various plants, animals, and geometrical shapes. It also bears the decoration of the initial letters and a colophon that names the scribe and the date of inscription. The book contains 379 papers and each page has 32 lines written in Coptic with Arabic translation on the right margin. 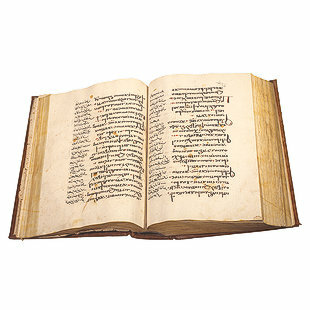 The book was restored in 1624 of the Martyrs era, in the patriarchate of Cyril the Fifth (AD 1909).